This could be the beginning of the end for SeaWorld. The California Coastal Commission voted Thursday to allow SeaWorld's San Diego location to expand its orca tanks, in a plan SeaWorld has been aggressively promoting for a while, called Project Blue World. 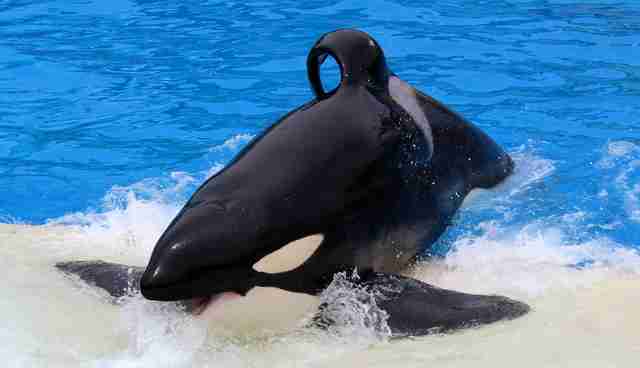 But the allowance comes with major conditions: SeaWorld San Diego will no longer be allowed to breed its 11 captive orcas. 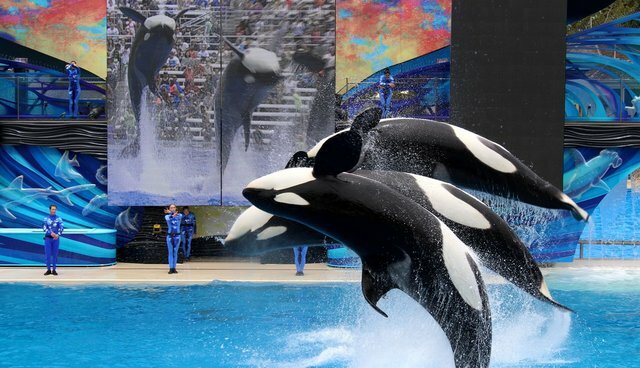 The commission also set drastic limits on how much SeaWorld can transfer its existing 11 orcas in and out of the park: SeaWorld will also not be allowed to sell, transfer or trade them. This means these 11 captive orcas may very well be the last to live in tanks at SeaWorld San Diego. 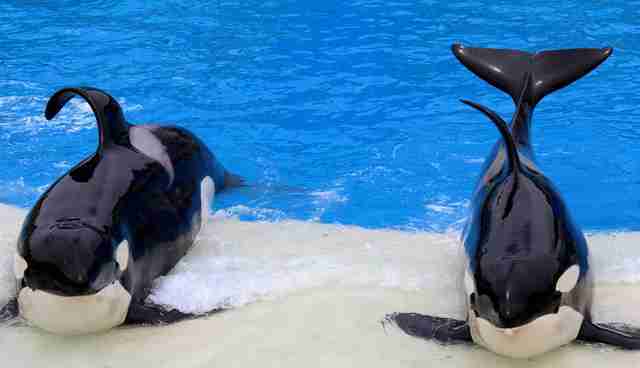 SeaWorld is crying "extinction" - at least for its orcas being forced to entertain the public. "A ban on breeding would sentence these animals to a slow extinction in our care," said John Reilly, president of SeaWorld San Diego, who, according to the Los Angeles Times, rushed out of the building after the vote, along with other SeaWorld officials. Former SeaWorld trainers and "Blackfish" stars are calling the vote a big win. This vote at the very least signals the end of months-long drama surrounding the company. SeaWorld began touting its plans to supposedly better the lives of its orcas long before they gained approval for the $100 million project. Animal advocates and SeaWorld opponents believed the plan to be a huge publicity stunt to counteract "Blackfish" backlash. In the days leading up to the vote, the California Coastal Commission received 250,000 responses from the public on the issue - many of them opposed to expansion. Animal advocate groups presented their opposition to the Commission in person. PETA presented their case against orca captivity at the Coastal Commission's hearing. "The California Coastal Commission did right by orcas in requiring, as a condition of approval for the Blue World Project, that SeaWorld stop breeding them, which will ultimately end captivity for long-suffering orcas in California," Jared Goodman, foundation director of animal law for PETA, told The Dodo in a press release, in response to the California Coastal Commission's conditional approval for SeaWorld's new orca tank. "SeaWorld has admitted that it intended to breed even more orcas to fill the new tanks, but the commission's action today ensures that no more orcas will be condemned to a non-life of loneliness, deprivation, and misery." "SeaWorld is a sea circus, and the orcas are its abused elephants," Goodman said, suggesting that SeaWorld stop building tanks and "start emptying the ones they've got by sending the orcas to coastal sanctuaries, where they'd finally have some semblance of a natural life." SeaWorld Orlando and SeaWorld San Antonio are still petri dishes for captive orcas. But this week's major win suggests they may not be for long.